The group maintains the Glenbrook Native Plant Reserve. This is a small nursery specialising in plants indigenous to the Blue Mountains and other Australian plants, located in the Reserve and staffed by group volunteers. Funds raised through nursery sales are donated to the volunteer body responsible for managing the Reserve. 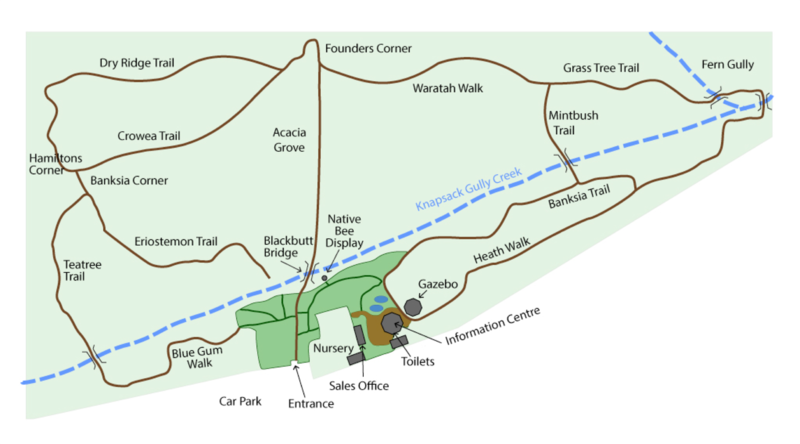 The Reserve is located about 60km from Sydney on the north side of the Great Western Highway, next to Glenbrook Oval and opposite the Blue Mountains Visitor Information Centre at Glenbrook. The reserve and nursery are open noon - 4 pm on Wednesdays, Saturdays and Sundays. Entry is free. See here for more information on the Reserve.